October 10, 11, 12, 13 & 14, 1967. 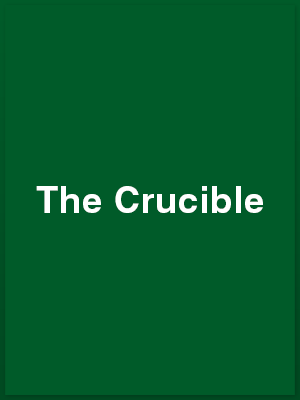 THE current production of Arthur Miller’s The Crucible at Barn Theatre, Southwick, the first play to be staged in the enlarged hall, sheds new light on the considerable talent on which the Wick Theatre can now draw. A more demanding work it would be hard to find for any group of amateurs, but they come through with flying colours and add appreciably to their growing stature. The play is their entry in the West Sussex Drama Festival, which has its final adjudication at Bognor Regis in December. The first night audience on Tuesday was duly impressed, and the large cast should be in even better form tonight [Friday] and tomorrow evening. The rôles have been selected to advantage by producer Ralph Dawes, who appears creditably as Thomas Putnam, and there are some effective settings by Vincent Joyce. The period costumes enhance the whole production. The action graphically depicts the extraordinary events in Salem, Massachusetts, in 1692, in which settlers, caught up in a form of mass hysteria arising from inexplicable illnesses and death, indulge in a protracted witch hunt of the Devil’s apparent followers, ending in trials and hangings galore. It is decidedly heavy going, but fascinating in its macabre way – and brilliantly written. The whole cast has somehow caught the very spirit of the piece, and although there are members whose acting stands head and shoulders above that of the crowd, nobody lets the side down. Performances to be remembered include that of Ray Hopper, as John Proctor, the farmer with a conscience, whose wife is accused of witchcraft. The rôle is a taxing one but is splendidly sustained, and Valerie Aspeling acquits herself well as his partner. The haughty Deputy-Governor Danforth is admirably played by Robert del Quiaro, whose ‘grilling’ of those suspected of devilish consort is roundly sustained, and the contrasting characters of the troubled clergy are finely etched by Wilfred Perkins of the Woodingdean Players [Rev. Samuel Parris] and Jack Bingham [Rev. John Hale]. Dale Wood makes a strong contribution as Abigail Williams, and other young women dramatically caught up in the weird happenings are played successfully by Susan Brown, Jane Chinchen, Sally Bishop and Coral Guildford. Elizabeth Penney impresses as aged Rebecca Nurse, Eileen Silverthorne is well cast as the coloured woman, Tituba, and other women players who do well are Angela Bolton and Ena Collis, the latter from the Southwick Players. Making their mark in various rôles are Peter Power, George Porter, Peter Joyce, Barrie Bowen, Patrick Johnson and Ian Leavey. The stage managers are Ian Leavey and Frank Silverthorne, lighting is by Frank Hurrell and properties by Margaret Perrett and Frances Thorne. The wardrobe mistress is Morfydd Bowen, Frank Hurrell and Terry Mase are responsible for the sound effects, and Eileen Silverthorne for decor. The Crucible, by Arthur Miller, currently presented by the Wick Theatre Company at the Barn Theatre, Southwick, is the story, based on history, of a witch hunt in Salem, Massachusetts, in 1692 in which many were sent to their death by the perjured evidence of a few girls led by Abigail Williams. There are some notable performances but unfortunately these are leavened by less deeply-considered characterisations by which the overall effect is weakened. The performances of quality came from Wilfred Perkins, a guest player from the \Woodingdean Players, as Rev. Samuel Parris, a frightened man not loved by his congregation; from Ray Hopper as John Proctor, who protests his innocence of contact with Satan to the end on the gallows. Here is fine acting in apart for which it might be said that he is not physically ideal, but which he, nevertheless, completely dominates. Valerie Aspeling, too, brings depth to the rôle of his wife, Elizabeth, and their scenes together were most moving. The Officers of the Court, Deputy Governor Danforth and Judge Hathorne, are played with dignity and a hard severity by Robert del Quiaro and Patrick Johnson. It shows up vividly that two of the characters have not absorbed the atmosphere and brooding horror of this terrible happening. They are Jack Bingham as rev. John Hale – brought in by Rev. Samuel Parris to defend, in a way, those accused of witchcraft and to induce them to confess and save their lives – and Dale Wood as the arch instigator, of the accusations, Abigail Williams. Both speak their lines with a fair competency but neither is able to convince. Dale Wood has no smell of wickedness about her. She is at no time transformed into Abigail. Sally Bishop, who plays her friend Mary Warren and a member of the group of accusers who almost recants but is ultimately frightened into submission by the others, gives a much more deeply felt performance. All the smaller parts are competently played and particularly the slave from Barbados, Tituba, by Eileen Silverthorne. Others in the cats are Susan Brown [Betty Parris], Coral Guildford [Susanna Wallcott], Angela Bolton [Mrs. Ann Putman], Ralph Dawes [Thomas Putman], Jane Chinchen [Mercy Lewis], Elizabeth Penney [Rebecca Nurse], Peter Power [Giles Corey], George Porter [Francis Nurse], Peter Joyce [Ezekiel Cheever], Barrie Bowen [John Willard], Ena Collis [Sarah Good] and Ian Leavey [Hopkins]. The play was directed by Ralph Dawes, and Vincent Joyce had designed a particularly effective setting. There are final performances tonight and tomorrow at 7.45. In the past, women’s hats were de trop in theatres. Now, bouffant hair-do’s have the same frustrating effect. It was, for this reason, quite difficult to see more than half the stage at a time during Tuesday’s first night performance by the Wick Theatre Company of Arthur Miller’s play of witchcraft and wooly-mindedness The Crucible, which has its final presentation tomorrow night at the Barn Theatre, Southwick. This dirge of doom and disaster – a saga of religious persecution set against the late 17th century Quaker populace in Salem, Massachusetts – is produced by Ralph Dawes and designed by Vincent Joyce, and provides little but blood-chilling inhumanity for subsequent reflection. There are redeeming flashes – particularly at the end, when John and Elizabeth Proctor [finely delineated by Ray Hopper and Valerie Aspeling] find their peace in the shadows of the gallows for him and impending childbirth for her. Wilfred Perkins, a member of the Woodingdean Players, is tight-lipped Reverend Samuel Parris – a man more concerned with his income and the possession of gold candlesticks in the church than saving the souls of his unhappy flock. Most action is done in the half-light, and the atmosphere is established from curtain-up, which discloses daughter Betty Parris [Susan Brown] unconscious in bed after presumed contact with the Devil. Everyone in Salem eventually becomes suspect and either ends up in jail or on the end of a rope. The big question is – did vixen Abigail Williams [intent on Elizabeth’s death because of her passion for her former lover, John Proctor] cause the evil spirits to work havoc among her neighbours and their children? These include Susanna Wallcott [Coral Guildford], Mercy Lewis [Jane Chinchen], and Mary Warren [Sally Bishop] – all prettily played with necessary fear and demure deceit. Elizabeth Penney gives a serenely dignified performance of tall, devout Rebecca Nurse, and Eileen Silverthorne has much truth as the coloured Tituba. Jack Bingham looks and acts the part of the Reverend John Hale – a man beset by doubts and compassion. Ena Collins [a member of the Southwick Players] is first-class as unhappy Sarah Good, while the iron soul of the law is well represented by Robert del Quiaro as Deputy-Governor Danforth [just the part for a resounding voice like his! ], with Patrick Johnson and Peter Joyce giving good support as Judge Hathorne and clerk Ezekiel Cheever. The parts of Francis Nurse, John Willard, and Hopkins are admirably portrayed by George Porter, Barrie Bowen and Ian Leavey, with Angela Bolton and Ralph Dawes lending valuable colour as Mrs. Ann Putman and Thomas Putman. Finally Peter Power adds just that as Giles Corey – a man prepared to stand by his beliefs. While this distressing play pinpoints man’s inhumanity to man, even in the name of God, it has its redeeming moments, which spring, in the main, from man’s equal ability to stand firm against all oppressors and the anti-Christ influence which often assail manhood for inscrutable reasons. This is powerful stuff which, even when acted as well as it is by the Wick Theatre players, one would not wish to see too often!